Today is the final of the Barcelona Open, a 500 level Masters event that has, not surprisingly, been won by a Spaniard for the last 9 years. By default it will be once again this year, since the finalists are David Ferrer and Rafael Nadal. Six of the last nine titles belong to Rafael Nadal, with single wins also belonging to Fernando Verdasco, Tommy Robredo, and Carlos Moya. As big a Nadal fan as I am, I still very much appreciate what Ferrer brings to the game. The consensus is that he’s the hardest working player on the tour: while he has no single skill that stands out, unlike other top 10 players, he is a tireless gamer. He’s been variously called dogged, Energizer Bunny-like and the best “right-wing” player of the game. 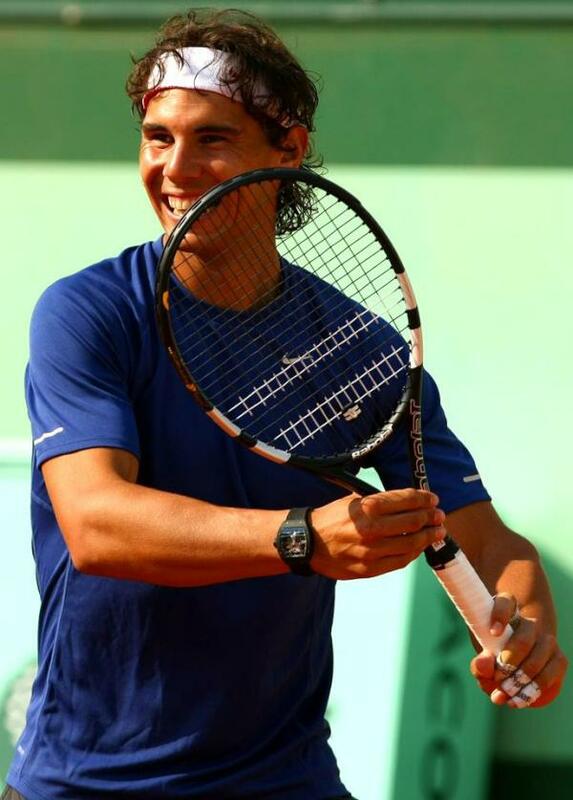 He’s playing in his fourth Barcelona final today, all against Nadal, against whom he has a losing head to head record. I don’t really know who to root for. I suppose in the end, I would just like to see a good match, regardless of winner. Barcelona has several nice independent bookstores located in the La Ribera neighborhood (near the cathedral), as well as Casa del Libro on the Passeig de Grácia (think high end retail like Fifth Avenue), the book section in the El Corte Inglés department store on the Avinguda del Portal de l’Àngel, and FNAC (a French media chain) on the Plaça de Catalunya. Altaïr on Gran Via specializes in travel books and materials, ranging from maps and guides to fiction about travel. There’s also an English language bookstore up on Carrer de Roger de Lluria, but I didn’t have time to check it out. (And really, English language books for ex-pats wasn’t really what I was looking for.) Madrid has a fair number of independent booksellers, too, along with the same chain bookshops. At Altaïr I bought Andalus by Jason Webster, which I read and then left for another reader at the hotel. I lusted for several books on the history of southern Spain and planning guides for doing all or parts of the camino de Santiago (on my bucket list) but managed to restrain myself. The other purchase I made at Altaïr was the in-house travel magazine featuring Peru. Twin and The Chemist are tentatively planning a trip there (Machu Picchu! The Camino Inca! ), and I thought they’d appreciate the photography and information…forgetting that they don’t read Spanish. I’m an idiot. The plan is to translate all the captions and articles between now and when I see them next (late March). Just need to be careful about damaging the magazine as I do so. Meant to go back to the independent near the city museum for a book on Barcelona’s Roman history but got distracted and never made it back. Was tempted by children’s books, which I thought might suit some children of my acquaintance. Popping in to the El Corte Inglés, I intended just to see what the popular fiction available in Catalan and/or Castilian might be but ended up leaving with a translation of Naked in Death (Desnuda antes la muerte). Did manage to avoid the temptation of Ferran Adria’s El Bulli cookbook. FNAC had a *huge* graphic novel section, as well as manga. The YA, unsurprisingly, was also fairly large and dominated by paranormal fiction. Saw stacks of translations of the Hunger Games series, and of Amanda Hocking’s books (are they YA? that’s where they were shelved). Lots of fantasy, urban and otherwise, and I was sorry to see zombie/classic mashups prominently shelved. (Meh.) In terms of general fiction, Nordic mystery writers appear to be as popular in Barcelona and Madrid as they are in the US. Translations into Spanish, Catalan, and English were available for many of the authors Keishon has reviewed. I was tempted to buy a translation of Ilona Andrews’ Magic Strikes (La magia golpea) but it was ridiculously expensive at €17.50. Instead, I left with a copy of Camilla Lackberg’s The Stone Cutter and Peter Ackroyd’s translation into modern English of The Canterbury Tales. Other books on my wishlist now: El vasco que no comía demasiado by Óscar Terol; Las siete llaves de Balabad by Paul Haven; and Memorias de Idhún by Laura Gallego Garcia. I’ll probably regret not buying them when I had the chance and wind up paying some insane amount of money to have a copy shipped from Europe if/when I can’t find a copy in the US, which is what happened with Yo, Juan de Austria. ETA: Bought a little book about the Palau de Música Catalana from the Palau’s giftshop. And was seriously tempted by books about the art of Velazquez and Goya and the history of the Prado while browsing there. Given the context, it was referring to a RM fan rather than dessert, dance or weakling. So, yesterday at the Legg Mason Tennis Classic, there were a LOT of Chilean fans in the stands. Flags waving, chanting Chi-Chi-Chi-Le-Le-Le etc. More specifically, they were cheering for Fernando González. Every so often, someone would yell out what sounded like, Vamos, Fenya. I couldn’t figure out it at first. Were they saying, Vamos, Fe[r]n, ya? Turns out I was trying too hard. It’s a nickname: Feña. And today there was a fellow wearing cap and soccer jersey in Argentina’s colors, cheering for Juan Martín del Potro (called del Porto at least twice by the umpire, I’d swear). His favorite cheer? Vamos, carajo! Uh, okay. My experience of this word is mostly via friends of Mexican descent, who use carajo as a curse word or epithet, not to cheer a favored player. Different usage in Argentina, perhaps? The crowd in the stands could have been a virtual UN. Heard French, Italian, German, Russian, varieties of Spanish and English spoken. Check out this interview of Rafael and Toni Nadal. I’m not sure if they are speaking Catalan or Mallorquí, the local dialect. It is interesting to listen to, either way: the words sound enough like Castilian Spanish that I could understand without the subtitles, but also different enough that I had to concentrate in order to understand. A lot of the interviews done for the Barcelona were also in Catalan, and are available on Youtube if you’re interested. What if the Americas hadn’t been “discovered” by Columbus? Obviously, the world would be a different place today. And the distribution and populations speaking certain languages would be quite different as well. According to this article (in Spanish), Spanish would be just another European language, 27th on the list, between Polish and Ukrainian, instead of being spoken by ~10% of the world’s population, if Isabella and Ferdinand hadn’t sponsored his attempt to find an Atlantic/eastern route to the Far East.